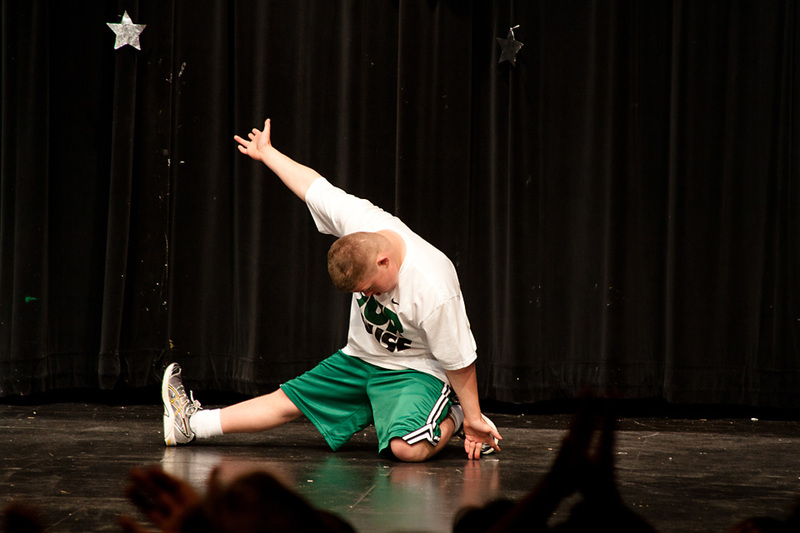 More than twenty years ago, Jenison High School student Steven Munster drew inspiration from watching the Jerry Lewis Telethon on television and became convinced of one thing: that Jenison should have its own telethon to celebrate the talents and abilities of special education students. Now, two decades later, Mrs. Schantz, Mr. Russell, and Mrs. Grooters keep Steven’s dream alive each May when they organize this annual celebration. With guidance and input from these teachers, students are given the freedom to choose their own performances (teachers work to ensure a good variety of music and appropriate content). Classes are then given about one hour a week to work on their routines, gradually increasing practice time as the show date nears. 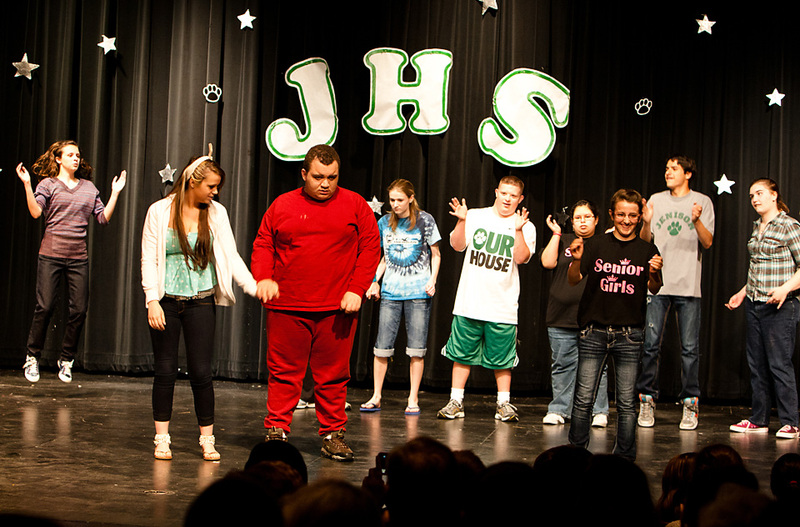 After weeks of determined preparation, JHS special education students perform their telethon for the larger student body. Those in the crowd learn to appreciate the unique talents and skill sets of others they may not know or understand. “Our students have so much to offer…a genuine sense of care and concern for others, a desire to help, a strong work ethic (some of our students have to work very hard to complete tasks that most of us take for granted) and a sense of respect. We would love to have our students recognized/celebrated for who they are and all their accomplishments,” said the teachers. In a month famous for packed calendars, spring sports, and graduation ceremonies, these teachers make a point to go the extra mile for their group of learners. They set aside time for each detail and consider every nuance of a great performance. But more than anything, they set out to keep their students in the spotlight, knowing that the spotlight can sometimes be difficult for special education kids to capture. But with loving dedication, these teachers make it happen with the support of their colleagues, the encouragement of parents, and the enthusiasm of their classes. 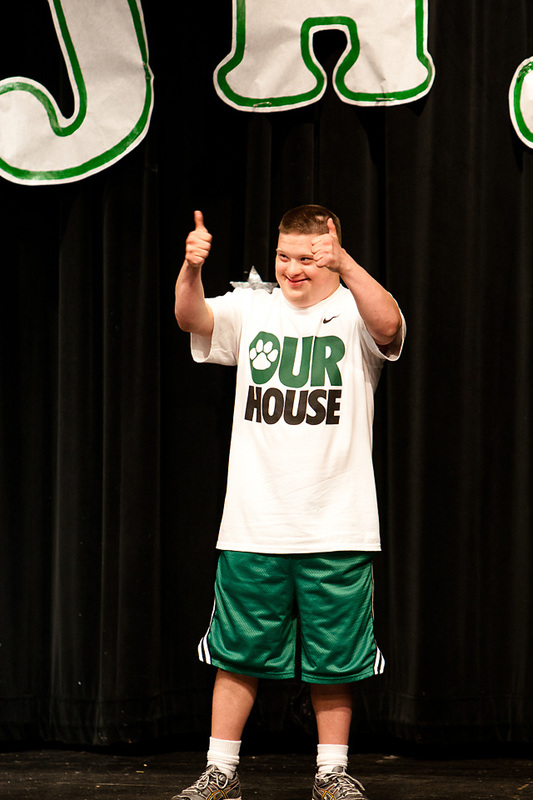 Please join the Jenison community in applauding these students and their outstanding showmanship!